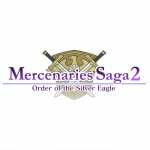 Final Fantasy Tactics fans should be interested to know that CIRCLE Entertainment is publishing Rideon Japan's Mercenaries Saga 2: Order Of The Silver Eagle on the North American 3DS eShop. The game - which originally launched on smartphones - looks almost identical to Square Enix's legendary turn-based strategy title, incorporating the same isomeric view and very similar animation. That's certainly no bad thing - the Final Fantasy Tactics series is fantastic, but we've sadly been denied a new entry on the 3DS so far. The game launches this week on the North American 3DS eShop, and will retail for the very reasonable price of $4.99. Battles engage in a quarter view map and tactics vary from different terrain. Characters can take advantage from standing position to assist each other and attack enemies' backs. When does it get released in Europe? This doesn't look too bad... I think I'll pick it up. But uh, seriously, a real FF Tactics Advance for 3DS would be awesome. I LOVE the Tactics Advance games, and one of my favorite things about them is the different races you can have on your team like the bangaa and of course moogles. Looks like this game just has plain old humans. Oh well. It still looks good. They really nailed the art style of the Tactics games. Meh, pay a bit more money and pick up a copy of Tactics A2. Dug mine out again recently for the first time in years, and it's still fantastic (although obviously still can't hold a candle to the original Tactics on PS1). Pretty bold statement! I'll wait for some reviews to see if that's true. If so then I'll Definitly get it. Anyway, I don't expect this to be most innovative game in the world, but the price is definitely right and it could scratch that FFT itch. I'll wait for you little minions to review it for me. 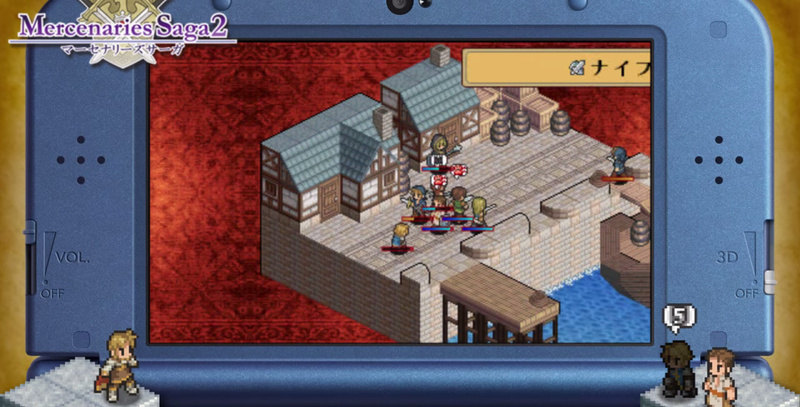 Mercenaries Saga 2, what was Mercenaries Saga 1 for, I've never heard of Mercenaries Saga until a couple days ago? "Final Fantasy Tactics on 3DS" huh? Well, there are a lot of talented artists and musicians in Japan who want to be just like the big guys, yet they can't even make a decent yen, very much like job availability in the US, UK and elswhere, so filling in a void on 3DS would be most logical. Ooooh, I'm automatically interested. Eagerly awaiting for Nintendolife's review! never heard of the series. So is the 1st game is only on phones? I did a search and can only find the 2nd game. looks interesting and very fairly priced. hopefully theres a story and not 3 lines of dialogue then fighting. keep us posted. Wow, at that price point, even if it's 3/4 as good as Tactics it'll be worth it. This makes me want to play ff tactics 2 now. And sine I've never played it I might as well get it. Looks very cool, for the price i will probably get this. Nice character portraits. I look forward to reading the review. Yes, me want, I love Final Fantasy Tactics and Tactics Ogre and any games like those. I'm not waiting ha-ha! I have an 8 dollar credit I've been hoarding for Gotcha Racing, those videos look amazing though and I must have it! lol Gosh if they keep releasing games like this who needs retail? J/k I know retail usually means b3tter quality but this looks to be amazing quality for 4.99. This game has a serious chance of selling a gazillion copies if its halfway decent. Just checked since I'll be buying ffta2 now, and you don't have a review for it. This actually looks.... Kinda good. For $5? I'll bite, after all I'm a huge fan of strategy RPG's in this vein. Solid character portrait art style, good pricing. I keep throwing money at my 3ds but nothing is happening! July 2nd can't come soon enough!!! Looks like TO and at this price it's a steal. We need more tactic games like this and dump the GG series in the trash where it belongs. Hopefully this has the ogre tactics mechanics instead of those of FF. Knight of Lodis is still the best tactics game I've played. Well that's bloody cheap. Do they secretly know its crap or something? @Gorlokk It's becoming really agitating and idiotic the way nintendo is putting out GBA games now... Instead of making them available on the handheld (the logical choice), they are making them available on the WiiU... To me this is just bad business.